These Crisps were really quite thick and crunchy. They were brittle, which may account for the mass bag breakage, but mostly, they chomped through with a cracker like crunch. It was not a hard crunch as you will often find with Hand Cooked Crisps, but it was just as meaty. 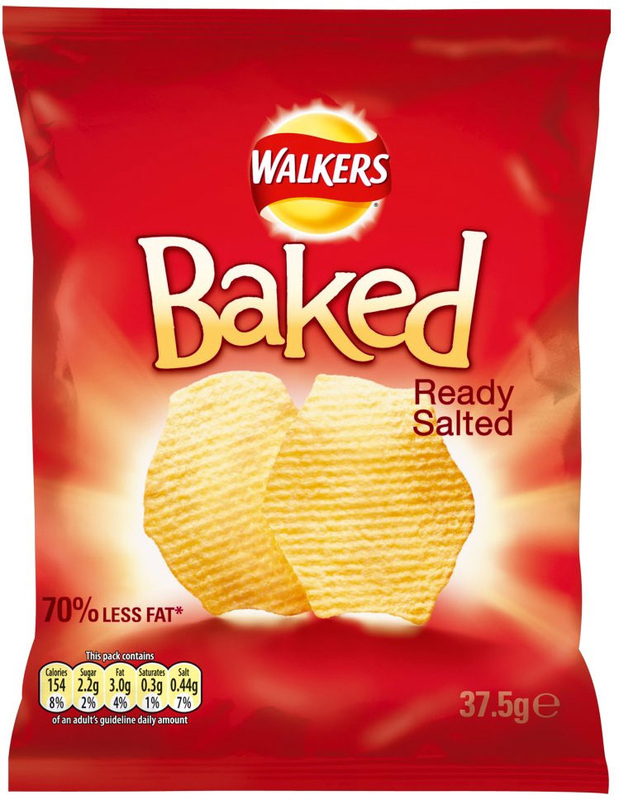 The image on the front of the packet suggests that these Crisps would be Ridged. As it was, those that were not broken (and there were many that were), had a sort of rocky, undulating surface. The Crisps were a pale yellow colour and devoid of any other characteristics. This is a difficult one. The bag claimed these were Ready Salted. It may have been the baked nature of the Crisps that caused it, but there was absolutely no salty flavouring to the Crisps at all. They tasted of slightly sweet and warm baked potato.